Men’s Sheds are a hot topic at the moment, not the least due to the Ambassadorial role enthusiastically embraced by the Prime Ministers partner, Mr Tim Mathieson, to promote the concept. You might recall my earlier post here. The concept is about a place where older men, and ones far more clever than me, come together to build, fix and create things. In doing so, they pass their skills to interested young men and sometimes young women who join them. The thought is, in this environment it’s not just passing on essential concepts like the uses of a ring spanner or router; it’s also about mentoring, support, communication and engagement. Hopefully it’s not demeaning to suggest its a little like that 1990’s television show where the project at hand leads to some broader relationship problem-solving. This concept resonates closely with Lions Clubs that have always been about getting together to work hard to help others, and along the way building relationships within the club and the clubs extended family. 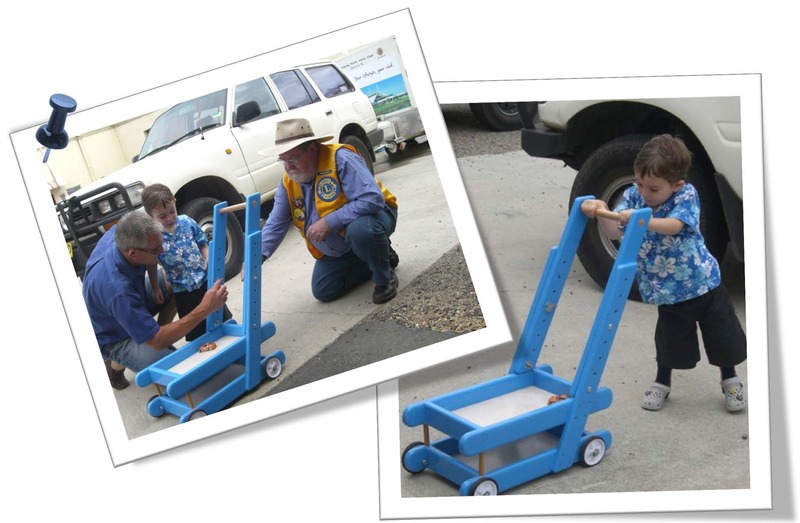 Through the bond of shared work and the satisfaction of achievement, we build relationships and in Lions Clubs we rely on those bonds of friendship when our own members need help. Many clubs are getting involved with Men’s sheds for these very reasons – either in developing their own, or supporting sheds in the community. 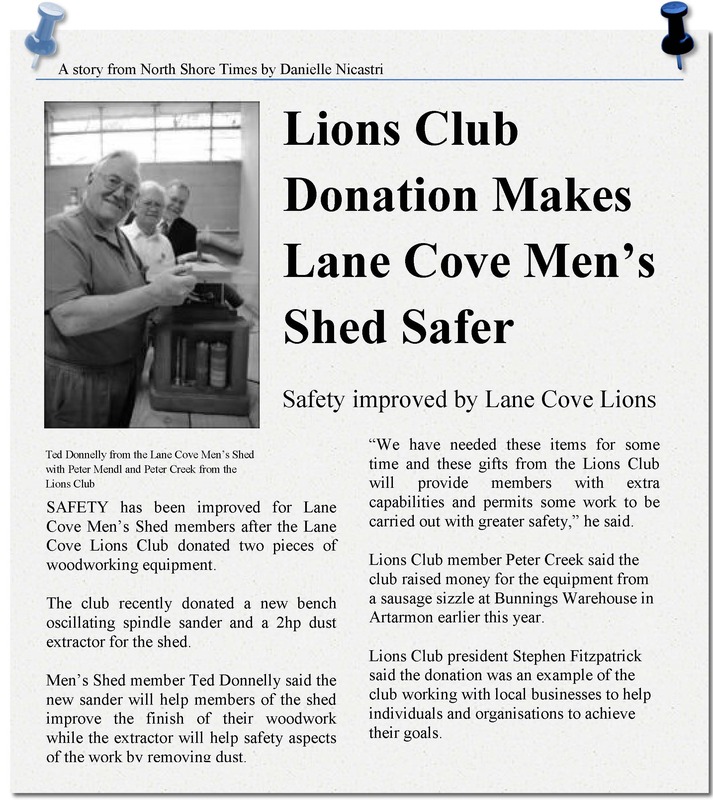 Lions members are often known for their practical skills and abilities, so you are very likely to find Lions participating actively in the local Men’s sheds. So Men’s sheds are about using practical skills, helping others, fun and recreation – and most importantly about building a strong bridge between young people and older people within the community. To find out more about Lions and Men’s sheds, have a look at our new e-brochure here! ‹ PreviousThinking about joining Lions?